Sea-Watch wrote Wednesday on Twitter that the people brought to safety from a rubber dinghy included 10 women, five children and a newborn baby. Sea-Watch is asking Italy or Malta to open a port to the rescue ship, the Alan Kurdi. 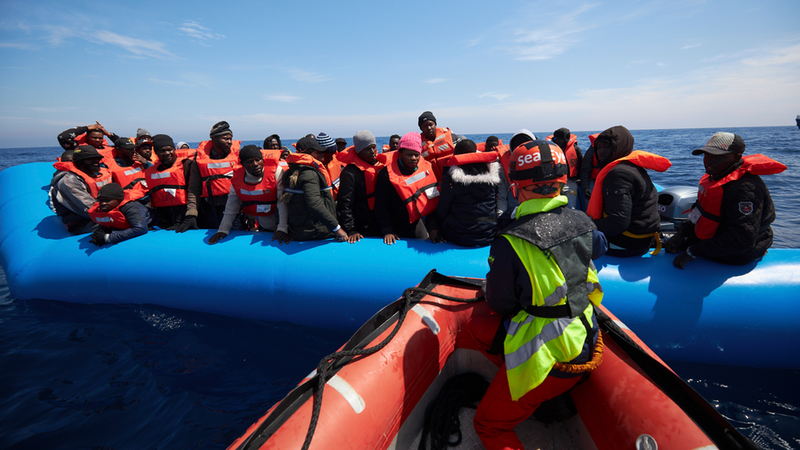 After extensive political wrangling, the Maltese government revealed on Saturday that more than 60 migrants who were stranded on a German rescue ship for over a week will be taken in by four European Union countries. Four European Union countries have agreed to take in 64 African migrants rescued by the German ship Alan Kurdi and stranded at sea for nearly two weeks, the Maltese government announced on Saturday. "Through the coordination of the European Commission, with the cooperation of Malta, the migrants on board the NGO vessel Alan Kurdi will be redistributed among four EU states: Germany, France, Portugal and Luxembourg", a statement from Malta's government read. The ship, called the Alan Kurdi and run by German non-governmental organization Sea-Eye, will not be allowed to enter Malta, the island nation's government said in a news release. Maltese soldiers stormed the vessel and escorted it to Malta. The German aid group Sea-Eye, which had rescued the 64 migrants, had complained for days about worsening conditions on the Alan Kurdi, which was not created to handle so many people.